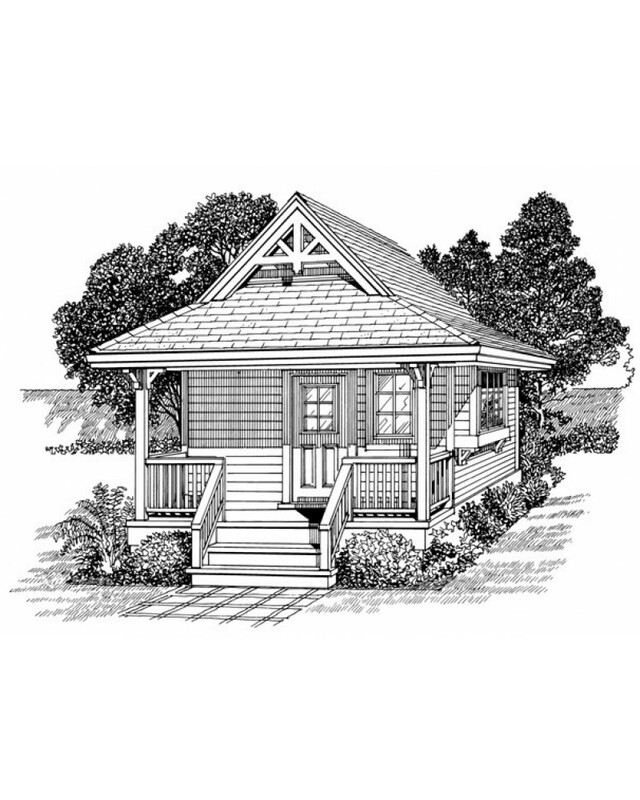 For a bare-essentials outdoor structure this weekend cottage offers a wealth of options for its use. 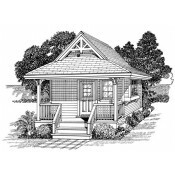 Choose it for handy home office space craft cottage space extra room for visitors a playhouse for the kids or a game room. 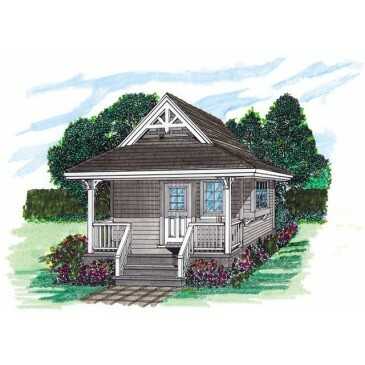 It features a covered front porch and offers two lovely rustic exteriors from which to choose. 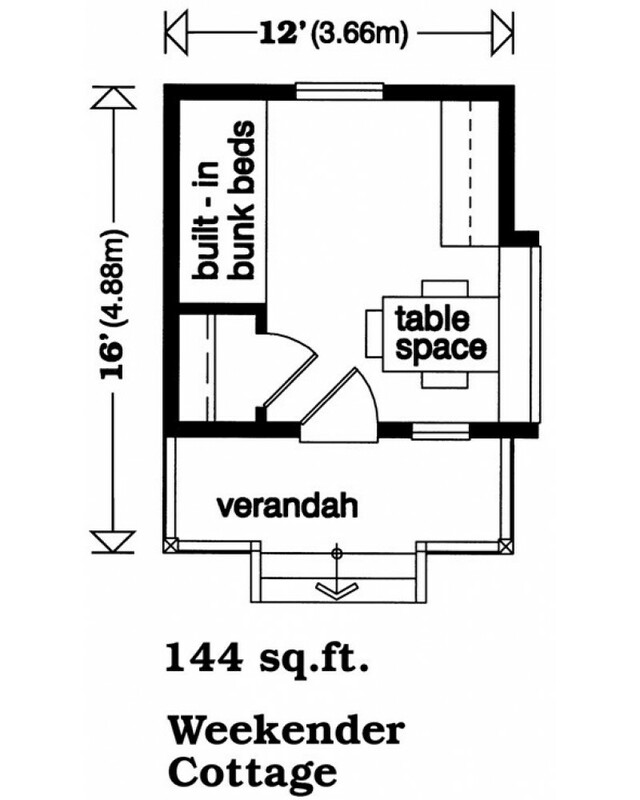 The interior has built-in bunk beds a closet and a bumped-out window that works well for table space. 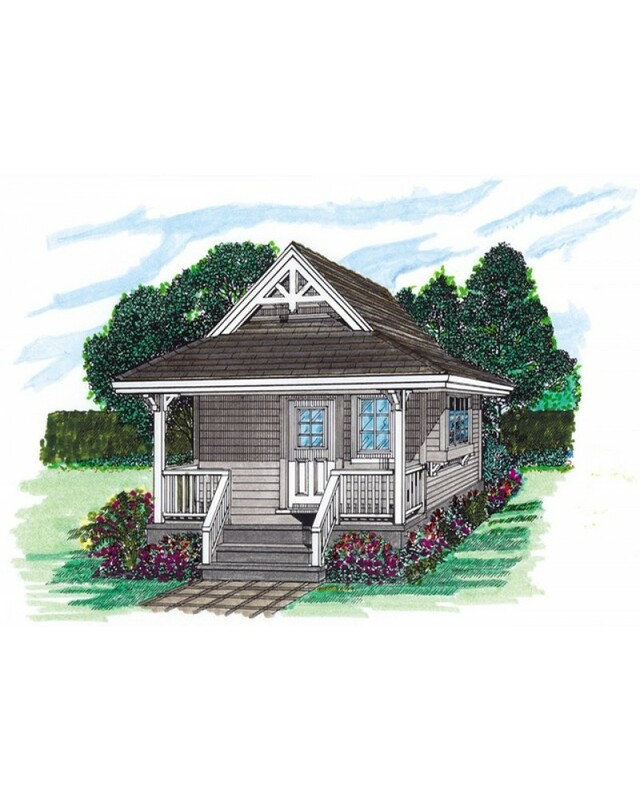 Plans include details for both crawlspace and slab foundation. CAD Files are not available on all designs. Please contact us to confirm before ordering. Alternate foundations may be available for an additional charge. 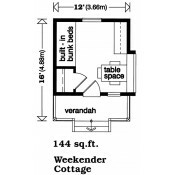 Please contact us if you would like an estimate for converting this plan to a foundation option that is not listed above.